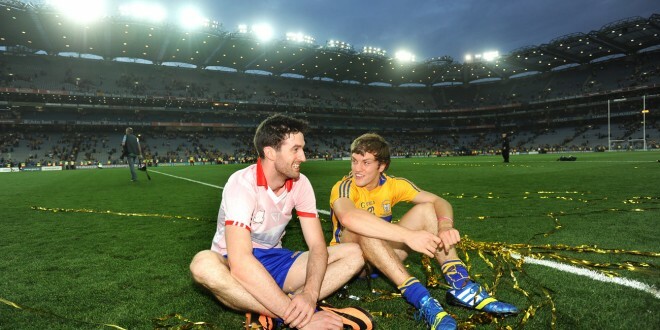 Darach Honan and Shane O'Donnell, unwind at at Croke Park following Clare's All-Ireland win in 2013. Photograph by John Kelly. All-Ireland winning U-21 and senior star, Darach Honan, has disputed county board chairman Joe Cooney’s claim that Clare GAA did all it could to help with the medical costs incurred by him as a result of injury. On Wednesday, Honan said, “I am still very disappointed with the way I was treated by the county board. Joe Cooney did make overtures for me to come and speak to the officers last week but I was unable to do so, because of training commitments with Clonlara U-21s [he is their team manager] and work commitments. “I am disapponted that I wasn’t properly looked after. I went to the county board and no help whatsover was offered. On my own volition, I went to the GPA and they did help with part of the funds, for which I am very thankful,” he added. At Tuesday night’s county board meeting, Joe Cooney had said Clare GAA did not let down Darach Honan. “We were very disappointed with the publicity we got as regards the Darach Honan injury, his operation and the way Clare GAA treated him. I don’t know where it came from but I can tell you all that I did sit down with Darach Honan. We met with him and talked to him. He did look for funding from Clare GAA towards the operation. We all know what Darach has done for Clare GAA in the past. He was an excellent servant of Clare GAA,” the chairman said at the meeting. He continued, “We would like if people would check out more before they go to the press or social media with regard to the way players are looked after. I can tell you we did do our part to try and help out Darach and I spoke to him and met him on a number of occasions. We are happy enough that we did our utmost for Darach”. “He did get a substantial amount from a benefit fund that was there and Clare GAA did put a lot of effort into getting that benefit for Darach,” he added, before going on to again compliment and pay tribute to Darach “for what he has done for the county”. “Could it be done now?” Mullane asked, to which the secretary replied, “I wouldn’t think so”. “The players’ injury fund is funded directly by the GAA. It comes from contributions made by clubs, plus monies put in by provincial council, monies deducted from league games and put into the fund. GAA in Croke Park through the benevolent fund gave a donation,” he added. When Mullane repeated that Honan was out of pocket in the region of €4,000, the secretary said, “I wonder where that information came from. The operation cost in the region of €6,000, so are you saying that it was about €10,000 or €11,000? If you go through the players’ injury fund you have to streamline the exact cost. There is another dimension to this and there was a lot of research done on it. As a matter of fact, there is an 11-page report on this which was sent to Croke Park. There is a fair share of information on that already. Joe Cooney repeated that he had “met Darach on different occasions and I sat down with his father as well”. 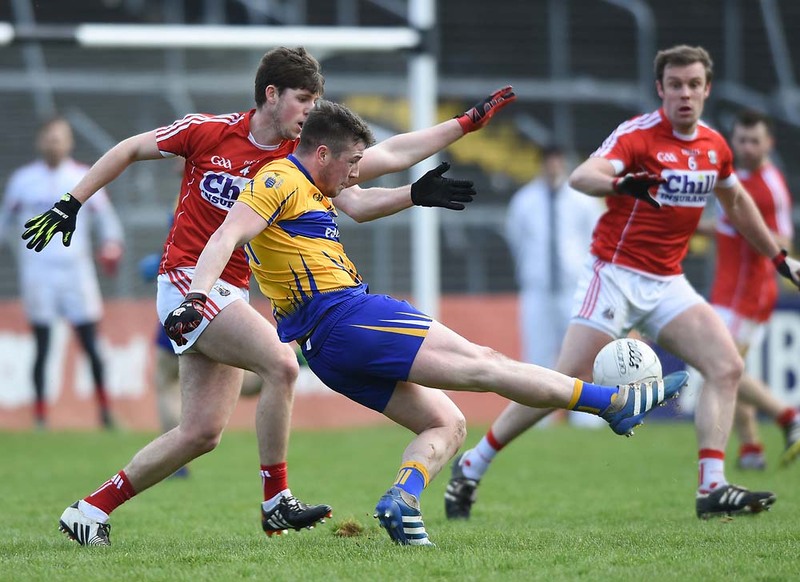 “Clare GAA has done as much as it can for Darach. We are all very disappointed that he picked up that injury at a young age. We have our part done. I have no problem at any stage sitting down with the Clonlara club or the family,” he added. Board vice-chairman PJ McGuane said, “At the present time, my club is out €8,000 for helping two young fellas to have operations. We know they are insured but the point is when you go to the consultants, you go for the operation. It’s a chicken and egg situation and I hope every club will realise this. You cannot draw down the money until you spend and you cannot have the operation unless you have the money in your arse pocket. It’s very, very simple and every club needs to realise that.